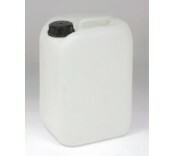 Plastic Water Container 10 Litre. Manufactured from frosted high density polyethylene. Conta.. Plastic Water Container 10 Litre. Manufactured from frosted high density polyethylene. Contai.. Plastic Water Container 25 Litre Frosted high density polyethylene water container with a.. Plastic Water Container 25 Litre c/w Tap. Manufactured from frosted high density polyethy..
At Manchester Safety Services, we stock a selection of plastic water containers in a wide range of different sizes, ideal for jobs both small and large. All of our plastic water containers are made from frosted high density polyethylene, ensuring they are all strong and durable for use over a number of years. Our shop contains plastic water containers with both screw tops and taps, designed specifically for a range of jobs. The large screw tops make the plastic water containers very simple to open and fill. The tapped plastic water container allows the user to simply and effectively disperse water at their own pace, in a controlled and efficient manner. The lid of the tapped plastic water container can be simply unscrewed and removed for easy filling. Both lid types are watertight, ensuring that no liquids are lost in the process. All of the plastic water containers at Manchester Safety Services are complete with a handle on the top to make transportation simple. This is particularly helpful for users who have invested in a number of plastic water containers and need to transport the units en masse. If you do not see the plastic water container to meet your specific needs, please visit our extensive Trade Counter where our dedicated team may be able to find the perfect alternative for your needs. Our stock list is constantly growing and evolving so we may already be stocking the size and style of plastic water container you require. Our trade counter is open Monday to Friday 8am-5pm.